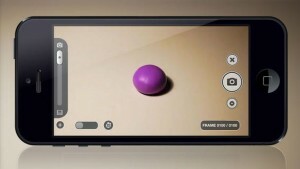 Stop Motion Studio iPhone App Review. Creating an animated movie is no piece of cake. So, you can only imagine how hard it must have been for Walt Disney back in the days when Mickey Mouse was just a drawing on a piece of paper. I, for one, have always been fascinated with the creation of animation. And technology has brought us so far that today you can make your own animated movie in just a couple minutes. Stop Motion is one of the magical iPhone apps that can help you do that. And this week, it's also free. Stop Motion makes it really easy for you to create your own animated movie by bringing your pictures to life. 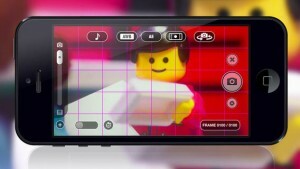 Just take some pictures in a row, press Play, and witness your pictures as they turn from static images to a real animated movie. Then, the only thing left for you to do is to save your project, and share it with your fiends. Pretty basic, right? And, at first glance, Stop Motion looks pretty basic, indeed. But once you start exploring it, you'll discover all sorts of special effects that will make your animation look even more professional. Because besides being able to add cool pictures and voice-overs, you have all sorts of effects to spice things up a bit. Like movie and sound effects. Paint tools and movie themes. 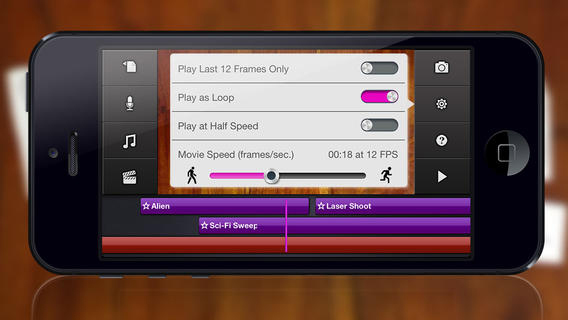 An overlay mode to help you visualize differences between frames for precise control. A grid mode to help you position animated objects more easily. You can cut, copy, paste, delete and insert frames at any position. Plus more. With Stop Motion, you have all the necessary tools to turn your Lego pieces into animated characters, bring drawings on a piece of paper to life, and, pretty much, turn any collection of static images into something vibrant. The only thing that would have made me like this app even more, would have been a drawing mode. I think this would have turned Stop Motion into an even more professional tool by giving the user the satisfaction of witnessing his own drawings being brought to life. One last thing, even if Stop Motion is free to download this week, some options and effects can be enjoyed through in-app purchase only. I can't say they're all worth the money, and neither can I say I would pay to download Stop Motion. After all, there are other apps that do the same for free. It's true they're pretty basic, and not as professional as Stop Motion. But, in the end, all that matters is what you're looking for in this sort of app: to share a funny video or to make a real impression with your video? And luckily this week you can do both. Free of charge. What do you think of Stop Motion Studio? Scroll down for our comment section and let us know!